Wayne regularly speaks to business honors students at Texas A&M to inspire their studies and make a difference in their lives. 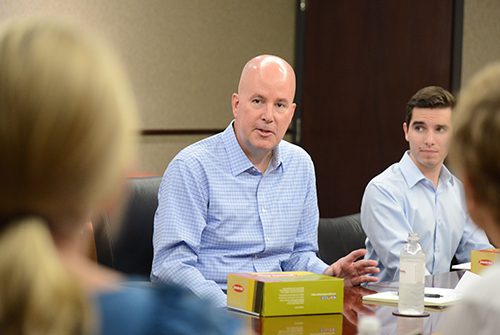 Over the last few decades, a familiar scene has emerged: A dozen or so undergraduates from the Mays Business Honors program sitting around a conference table, listening with rapt attention as Wayne Roberts ’85 shares some of the life lessons he’s gained over his thirty-plus year career in the technology industry. Coming back to campus to speak with current students is just one way Wayne and his wife Shannon ’86 give back to their alma mater. Recently, the Roberts served as lead donors for the men’s basketball team’s new student athlete center, now named in their honor. In 2014, the couple also established an endowed business honors scholarship for Mays undergrads. They’ve also contributed to the renovation of Kyle Field, the Bright Football Complex and the R.C. Slocum Nutrition Center. Wayne and Shannon credit Texas A&M with fostering the values that have helped them not only succeed in life, but also keep going in tough times. To demonstrate how much the school means to them, the couple created a significant planned gift from their estate to establish the Shannon ’86 and Wayne Roberts ’85 Excellence Endowment, which will be used to benefit Mays Business School students, programs and faculty at the discretion of the dean. Their generous commitment is the largest planned gift ever established for the school. Wayne graduated with a business administration degree in 1985 and later earned an MBA, beginning his career in technology consulting. Wayne and Shannon first met each other as adolescents in middle school. They dated as teenagers, later enrolled at Texas A&M and wed in 1987 as high school sweethearts. As Austin natives and the children of Longhorn parents and fans, the decision to attend Texas A&M was controversial—but the Roberts never once doubted their decision, and their families also came to love Aggieland. 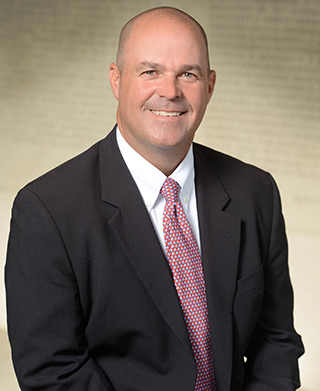 Wayne graduated from Texas A&M with a business administration degree in 1985 before earning an MBA (also from Texas A&M) and beginning his career in technology consulting. He currently serves as CEO of Banker's Toolbox, a company that provides software-based anti-money laundering, bank securities act, fraud detection, compliance and lending solutions to America’s Community Financial Institutions. Banker's Toolbox was voted among the Best Companies to work for in Texas by Texas Monthly and ranked as a Top Workplace in Austin by the Austin-American Statesman. 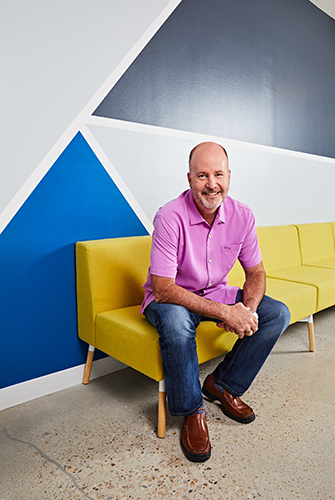 Before Banker's Toolbox, Wayne served as COO of Accruent, held a variety of senior leadership roles at Rackspace, and worked with other companies like Dell, Trammell Crow Company and Accenture. Shannon graduated from Texas A&M with a bachelor’s degree in biomedical science in 1986. In 1991, she received a bachelor’s in pharmacy from The University of Texas at Austin. She worked as a retail pharmacist until 1997 and has also served as president of the UT Pharmacy Alumni Association. Both Wayne and Shannon are true catalysts: They always look for opportunities to improve the people and programs they surround themselves with. In addition to having a planned gift for Texas A&M, Wayne and Shannon also plan to give to the MD Anderson Cancer Center to support cancer research and treatments. The couple’s positivity and unbridled optimism applies to their personal lives as well. For more than 25 years, Shannon has battled several malignant brain tumors. In 1992, an MRI revealed that she had a grade III/IV Astrocytoma brain tumor in the left temporal lobe. Despite a grim prognosis, Shannon survived and thrived. But in the summer of 2017, MD Anderson doctors notified the couple that Shannon had developed an inoperable, grade four glioblastoma in her brain and gave her 12 to 18 months to live. Wayne and Shannon have continued to be infectiously courageous and thankful in the face of adversity, and Shannon continues to beat the odds. Not surprisingly, the couple has developed a longtime relationship with providers at MD Anderson Cancer Center in Houston during Shannon’s treatment. In addition to their planned gift for Texas A&M, the Roberts have designated a significant portion of their estate be gifted to MD Anderson. Today, Wayne feels motivated to continue working, not for personal gain, but for the sole purpose of increasing their giving to others. As he is fond of saying, “he works for Texas A&M.” The couple enjoys spending quality time together, along with their two children, Jack and Katy ’20. Katy is a business honors major at Texas A&M with plans to attend medical school, while Jack graduated from The University of Texas at Austin with a degree in music composition and now attends graduate school at UCLA, studying music for motion pictures and television. Two incredible Aggies, Wayne and Shannon continue to serve others as much as they possibly can. 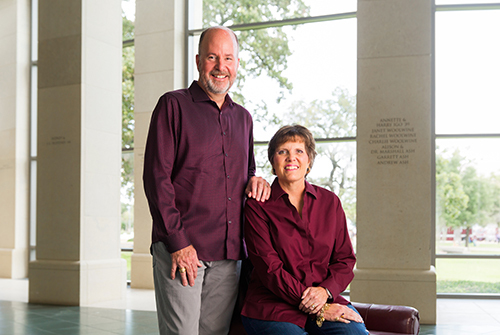 By gifting a portion of their estate to Texas A&M through a planned gift, the Roberts have ensured that their legacy will create a meaningful impact for future Aggies.